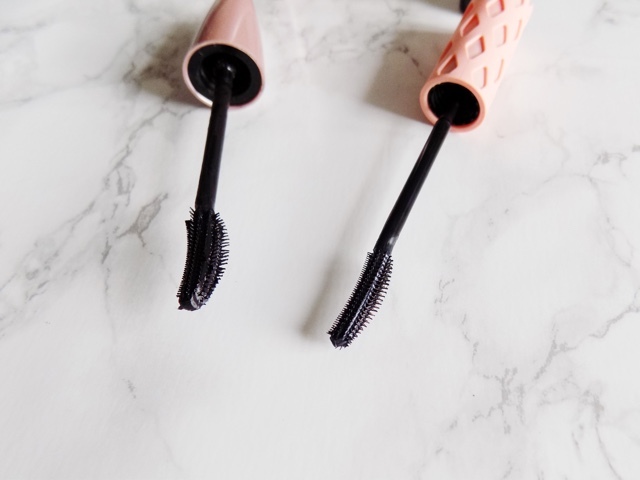 Today is another face off and we're talking mascaras. The Benefit Roller Lash is the first high end mascara I've purchased as I just loved the sample I tried. 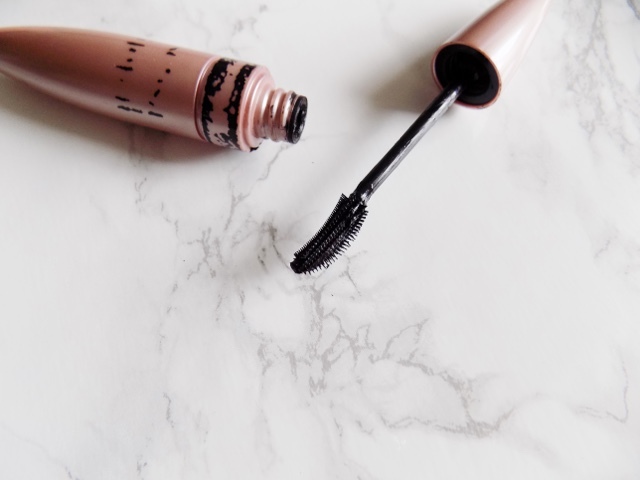 The Maybelline Lash Sensational is a great drugstore alternative so I wanted to show you why I love them and which is my favourite. 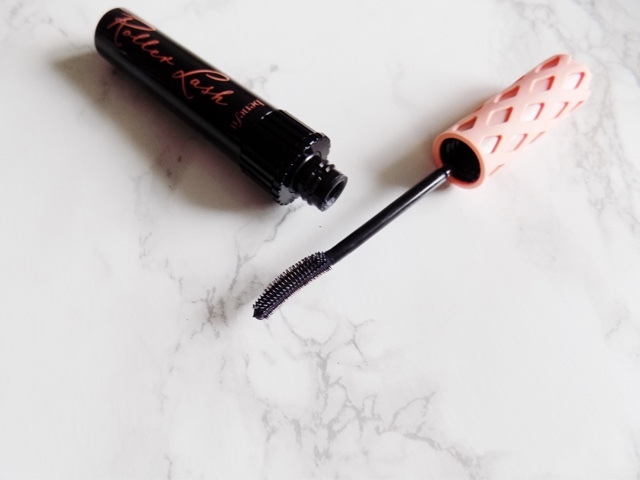 Starting with the high end offering - the Benefit Roller Lash Mascara, the wand is a curved, a half moon type shape, with shorter teeth, almost like a comb on the inside and longer more spaced out teeth on the outer curve. The brush lifts the lashes and curls them without any need for eyelash curlers first. I like using the inside comb for the lower lashes and to separate the top lashes and then I will use the longer bristles to fan out and add volume to the lashes. I like the effect that this gives to my lashes as it makes me look like I'm wearing falsies when actually, the idea of wearing falsies terrifies me. As for the drugstore mascara - the Maybelline Lash Sensational Lash Multiplying Mascara it too has shorter bristles on the inside and looks like a comb and then longer bristles on the outside. The ,brush is just slightly fatter, but the bristles act the same way as the Benefit wand in that it separates, defines, volumises and adds length. But as the name suggests it's a lash multiplying mascara and it really does make it look like there are layers upon layers of eyelashes. There is a waterproof formula too but I find this one to be good enough that I don't need the extra waterproof benefit as this holds a curl pretty darn well. 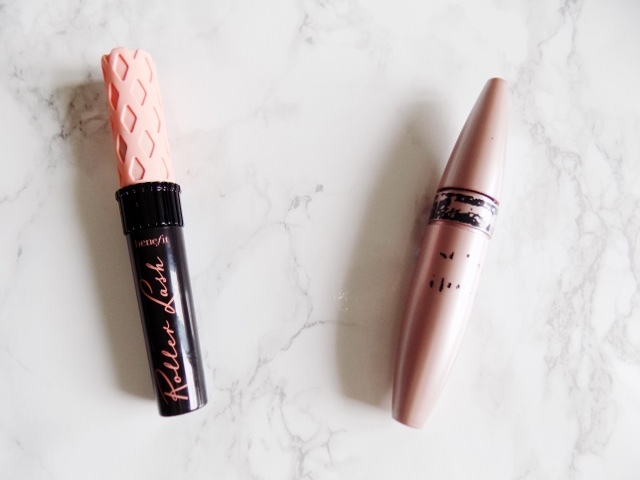 The outcomes are almost identical, and they both last the same amount of time and my lashes as neither of them flakes away, smudges or anything, both hold a curl well. The only difference between these is the brand and the price. The Benefit Roller Lash Mascara is £19.50 and the Maybelline Lash Sensational Mascara is £7.99. 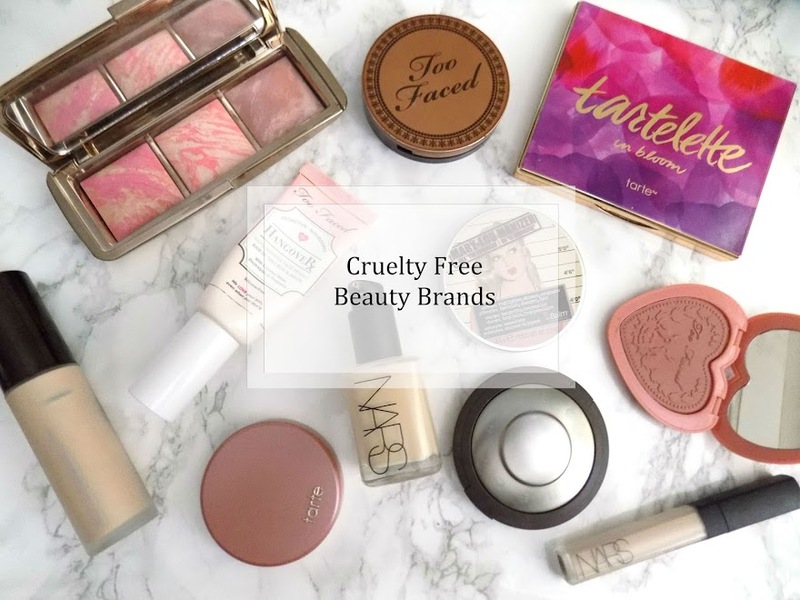 So which do I prefer, the drugstore offering is preferable due to the price however as a treat, the Benefit offering is a great option and not as expensive as other higher end mascaras.